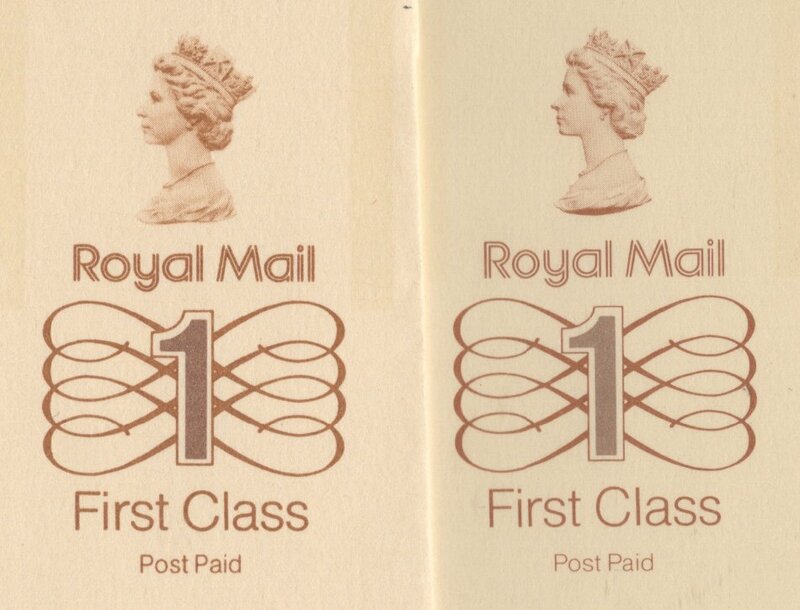 Had you ever heard of British Postnotes? I must admit I hadn’t but a good friend of mine was involved in one of the advertising campaigns involving them. 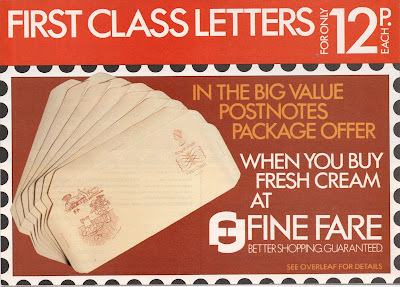 The postnotes were introduced by the Post Office in 1982. 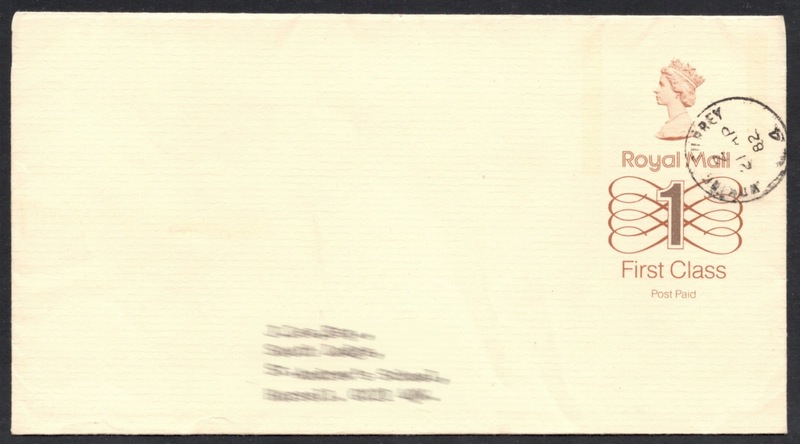 They are basically a modern-day version of the old-fashioned lettercard. 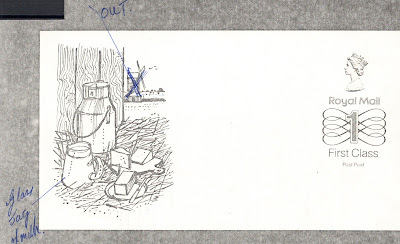 Now, at the time, my friend was working for the Milk Marketing Board (MMB) and they were preparing to celebrate their fiftieth anniversary in 1983. 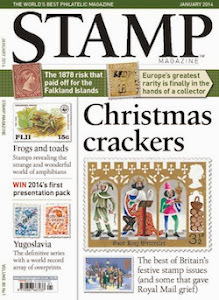 My friend being a philatelist, it didn’t take long to come up with the idea to try and involve the Post Office into this. And so a campaign was set up which would encourage the general public to buy Fresh Cream Pots. 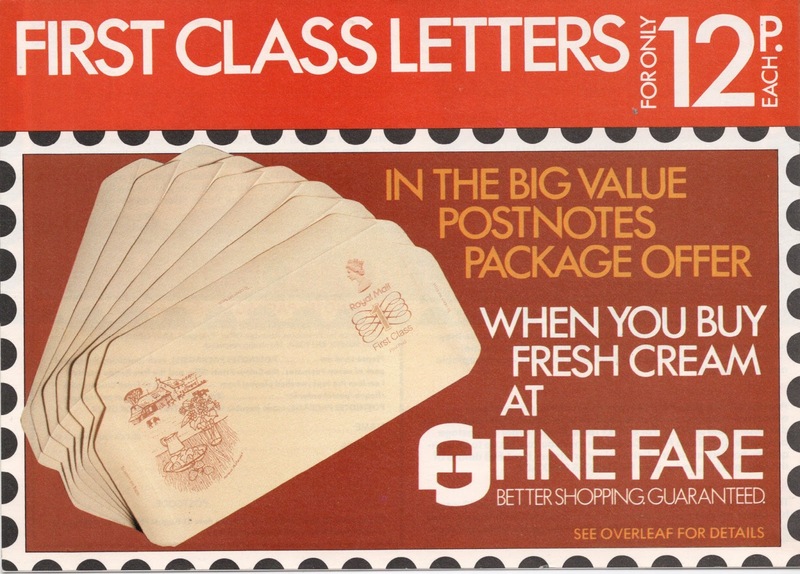 Two pot tops would entitle the customer to buy seven first class postnotes for only 12p each (first class rate at the time was 16p). 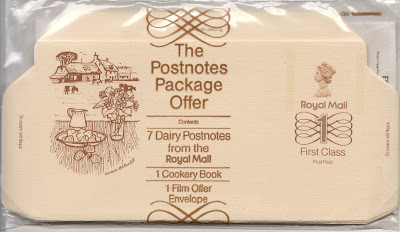 And these would be no ordinary postnotes but special ones with dairy-inspired designs on the left. 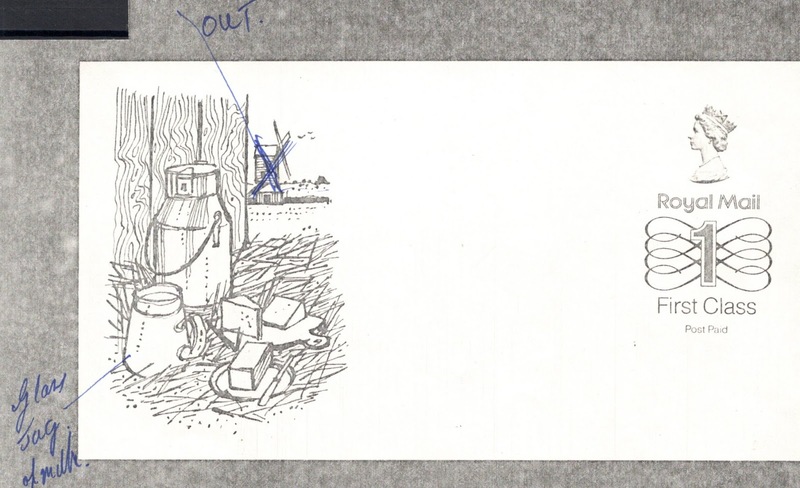 The MMB was involved in the design process and below is shown how one of the provisional designs was changed somewhat before being approved. The windmill, though a well-known feature of East Anglia at least, was considered to be too foreign. 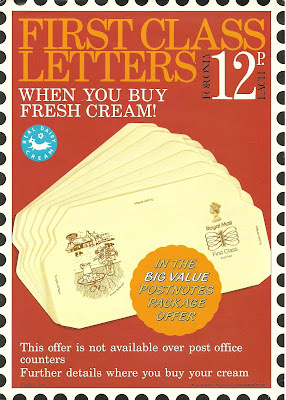 They didn’t want their customers to think their cream was maybe imported from the continent! The eventual design showed a farm and a small footbridge. The jug of milk was allowed to remain, as long as it was a glass one. In all, there were five different designs made. Another change to the format was the use of the actual Machin head. 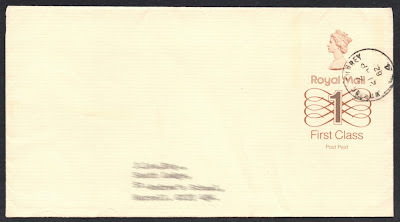 The plain postnotes had used a Head B, with a shadow below the bust. 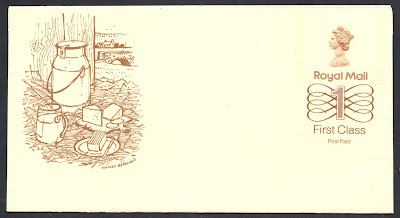 The MMB postnotes had a Head A, without the shadow. 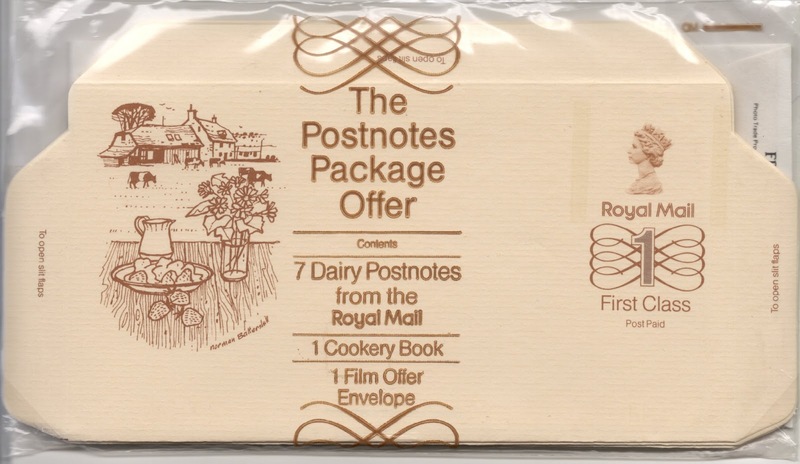 The postnotes came with extra offers, such as a little cookery book. Although the Post Office was not involved in the actual campaign, they did advertise it with posters in their offices. 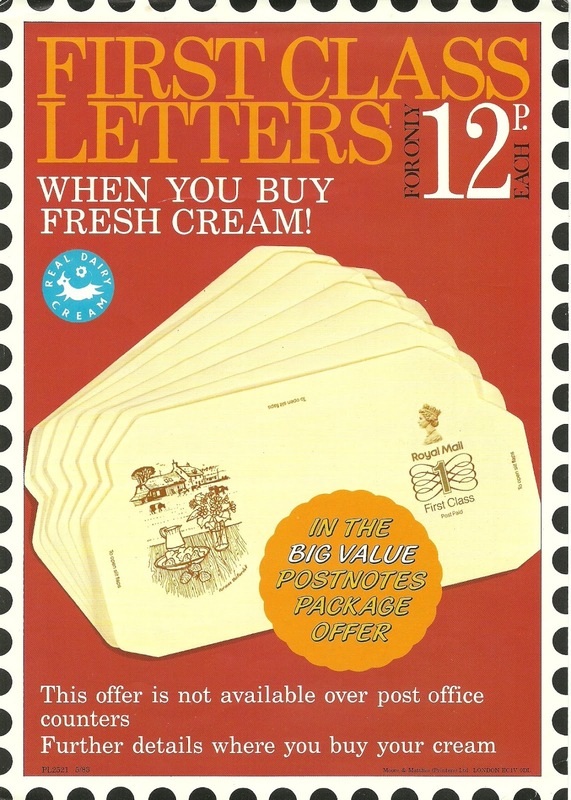 The campaign ran from March to May 1983, and 25,000 packs in total were sold. Interesting write-up on the background to the MMB versions. 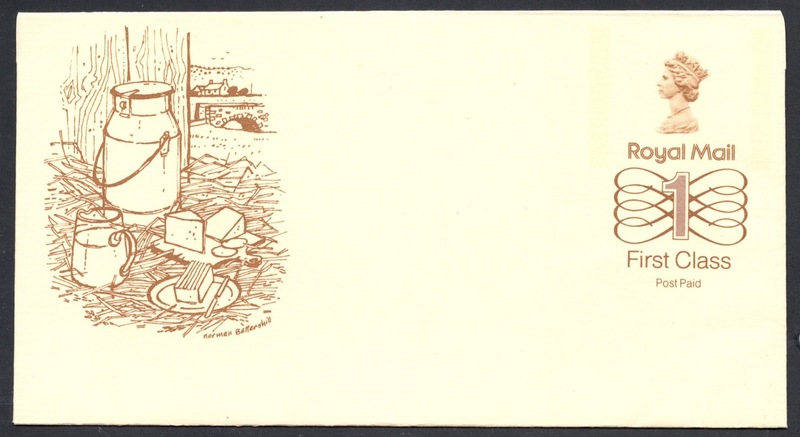 I have these, including some properly used for correspondence. There can't be many about I wouldn't think. 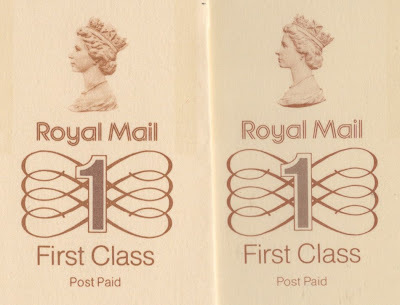 (2) Douglas Myall mentions Postnotes in his Philatelic Bulletin article on p213 this month - but he doesn't mention both versions of the head. Some coincidence! I don't get the BPB anymore so hadn't seen that. Glad to see I managed to come up with something the Master hasn't!